There's something special about Max. He may look like your regular ginger flabby tabby, but unlike most tabbies, he can actually communicate with his human, reporter for the Hampton Cove Gazette Odelia Poole. Max takes a keen interest in the goings-on in their small town, by snooping around with his best friends. 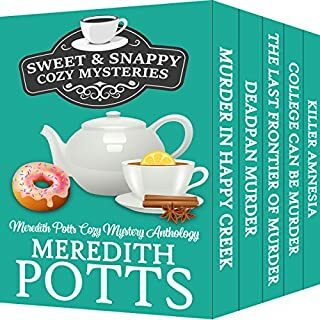 But when suddenly the body of a best-selling writer is discovered buried in the last Long Island outhouse, and a new policeman arrives in town to solve the murder, it looks like things are about to change in Hampton Cove. Starting with a prologue that is told in a killer’s point of view, C.A. Newsome has added an interesting twist to the cozy mystery genre with the inset. While ostensibly the story is focused on a group of regulars at a dog park, the story works on several different levels that may be disconcerting for some readers. Firstly, the dogs: I am a huge fan of do-related stories, and the particular insets of the many dogs and their associated personalities, as well as their relationships and correlations to their owners is cleverly done. There are several characters introduced in the story, and it does make it a bit more difficult to narrow down the more important players from the group. What is very well done is the cold, calculating and distinctly written and narrated point of view insets from the murderer him (or her) self. 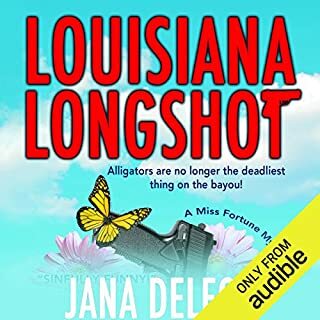 Kudos to the author for the stylistic switch: and to the narration by Jane Boyer in which she imbues a harder and more calculating quality to the voicing of those sections. 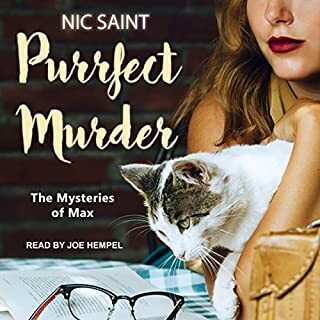 It is a quality that is often overlooked in audiobook narration, particular intention behind a character’s narration and tone, and she excelled at this story. 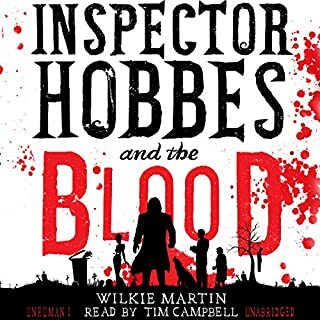 But back to the story itself: I really did enjoy this, even with the lack of a comeuppance for the murderer, or even a sense that you are certain the murderer has been named. 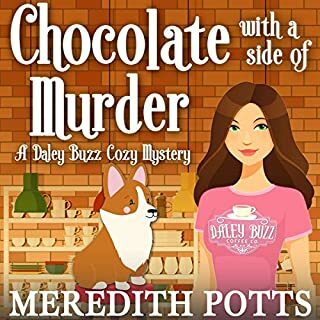 Possibly muddled by the many characters, there was a sense that the second book will not only provide the reason for this murder, and fully explain the intentions of the culprit. In this, the mystery portion of the story has the potential to disappoint some readers who want to have a final wrap up that is defined and obvious, but I particularly appreciated the openness and quality of the stylistic differences that made this story unlike any I have previously encountered. 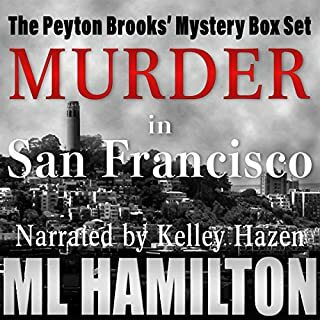 I own this book in two forms, I purchased a Kindle copy, and I was fortunate to win the AudioBook version of the story. I was not compensated for this review: all conclusions are my own responsibility. If you could sum up A Shot in the Bark in three words, what would they be? What other book might you compare A Shot in the Bark to and why? The sequel, Drool Baby, of course. Which character – as performed by Jane Boyer – was your favorite? An entertaining Sunday read and listen. I read the book but Jane Boyer's narration made it come alive. I had fun hearing about places in my hometown, The Queen City. Fun story with a twist. Highly recommend this book! Realistic characters. A personable mystery that had me hooked from the beginning. What was one of the most memorable moments of A Shot in the Bark? The plotting by the murderer. What about Jane Boyer’s performance did you like? Her variety of voices are good. Female voices are better than male. Can tell that she is acting and not just reading the story. I laughed at the doggy mischief. An OK little mystery. Nothing special but was a nice listen, worth a few hours. I like how the murderer was done, and how the book left off, chilling. Would you try another book from C. A. Newsome and/or Jane Boyer? Would you recommend A Shot in the Bark to your friends? Why or why not? No. I have decided not to read books where I spend more than a minimal amount of time inside the killer's mind. I don't think that's healthy. I like mysteries because they present a puzzle to solve. I don't want to empathize or even listen to the thoughts of someone who could hurt another person purposefully. This is not up-building. It's troubling. What three words best describe Jane Boyer’s performance? I didn't find the voice of Peter very masculine. 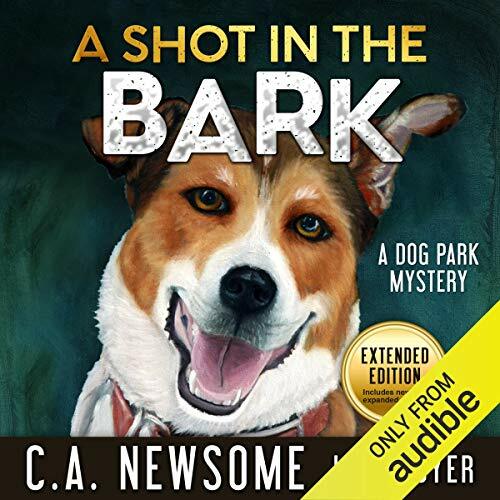 Would you listen to A Shot in the Bark again? Why? Yes. It was a great mystery full of suspense and even a little romance. I don't normally read in the mystery genre, so I don't have a comparison, but the author's writing style is great. Have you listened to any of Jane Boyer’s other performances before? How does this one compare? I have not, but she was very good, and each character was distinct. I don't want to give any of the plot away, but I really enjoyed the romance part of the book between Lea and Peter. the narrator was ok but not great. there was a lot of repetition in the story especially the questioning by the detective. I've of the main characters Leah, was annoying. always confused our feeling guilty. I don't know that I will read more despite the fact that the killer was not revealed. I was looking forward to the Big Reveal of the serial killer whose monologue ran throughout the book. The ending was disappointing both in terms of the heroine's and Hero's relationship and the cliffhanger of not revealing the killer. The Villain. never gets captured. This Dog mystery reads more like a love story than a mystery story. However I did enjoy the mystery parts of this story and I like dogs. not enough to solving this murder. Had me totally disinterested from the first sentence. I really wanted to return it right away as I will never stay wake long enough to finish it!